A while ago I was once again very lucky to receive a couple of samples from the very nice people at Clydesdale, one of Swedens top importer and seller of whisky. This time around the package contained among other things a sample of a 14yo Laphroaig, a single refill hogshead bottled by Hunter Laing in his series Old Malt Cask at 50% ABV! Well you all now that I'm a big fan of Laphroaig so it was not hard for me to pick this one for a tasting note :) Ok, let's go! The thing that's in the very front of the nose is not really ashes but very much soot, soft soot with a great deal of creamy vanilla in it (if that makes any sense…). In combo with the vanilla there's milk chocolate, burnt gun powder, and just a touch of sweet licorice in the distant. 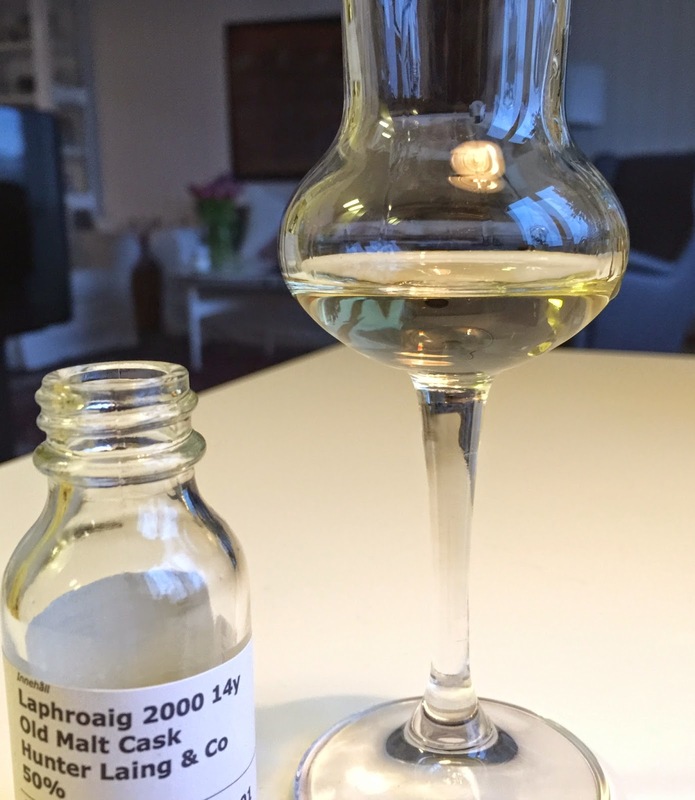 This is the kind of nose that I very seldom pick up in an official bottling of Laphroaig, maybe reminds me a bit of the first Cairdeas, but otherwise this style of Laphroaig isn't really to find in the official bottlings. Exciting to see what the palate is like! Oh yes, I'd say it's the same here, not really like an official Laphroaig. But it's a very cool version since the sooty stuff is here, and I'd say with an emphasis more on smoke than peat actually. Warming but still very soft, smooth creamy-ness, feels kind of like a 2nd fill or re-fill bourbon barrel, smooth vanilla, a touch of lime and pear… the aftertaste is surprisingly dry, really drying my mouth now… If you want to try a different Laphroaig you should really try and get one of these bottles, unfortunately it's sold out in Sweden but it might still be available for other Laphroaig-fans around the world! Big thanks to Tina and Thomas at Clydesdale for the opportunity! To all friends and followers, thanks for following also my Facebook-page and my twitter-page! 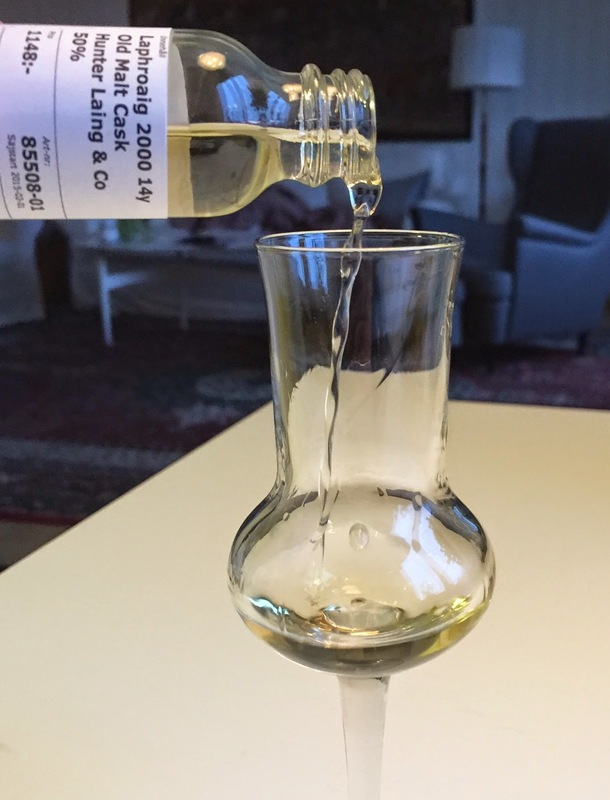 Teeling Whiskey Co. Strong Batch – FOR SWEDEN ONLY! Friends! 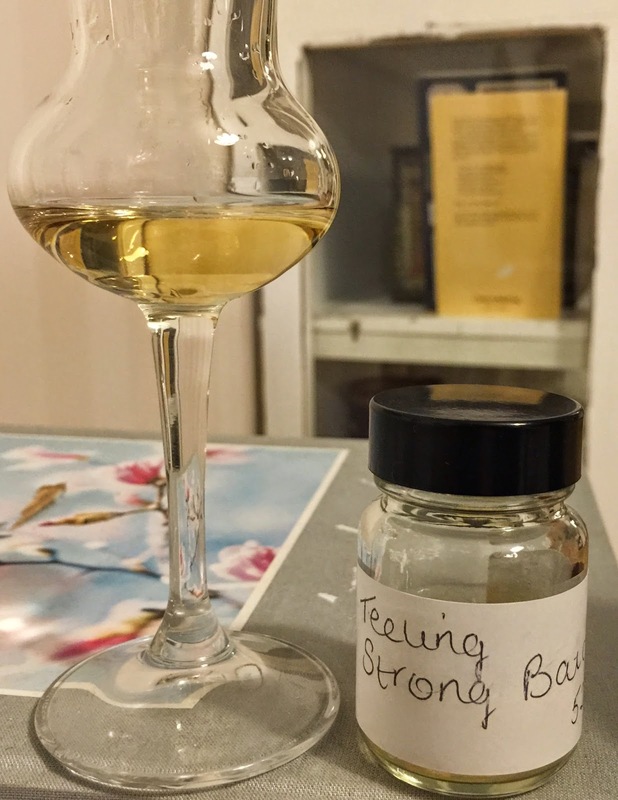 I am once again very privileged to be able to try a spankingly new bottling from the folks at The Teeling Whiskey Co. and once again it's something very special. You might remember that I a while back tasted their Small Batch blended rum finished whiskey (if not, please check out my review here). Well, this friday they will release a "strong batch"-version of the small batch. That said, it's the exact same whiskey and composition but in high strength of 52,5% ABV. It consists of 1800 bottles, ONLY for Sweden! Please take a look at the press-release (in swedish) here, and do check it out at systembolaget by clicking here. Ok, let's see what we have on the nose! Not boasting of Rum, rather an emphasis on very creamy vanilla, lots of coconut, there's elderflower in the background. The nose does not evidently scream "over proof/high strength" which I'd say is a good sign, on the contrary, very soft indeed. All in all, the nose is very single malt-y, meaning I can't find any traces on the nose that would suggest this being a blended with high grain ratio. The regular small batch 46% has more grain feeling to it, but here it seems "hidden" in all the wonderful vanilla softness. Great, let's have a taste! A very big thanks to Jack and the other fellas at The Teeling Whiskey Co. for the chance to try this Sweden-exclusive before being released! Thanks and Sláinte! Please follow SamuelWhisky on Facebook here and on twitter here. Etiketter: Blended, for Sweden only, Irish, Rum, The Teeling Whiskey Co.